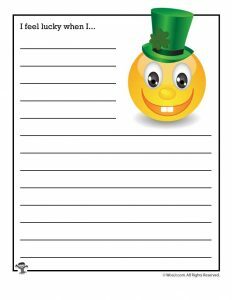 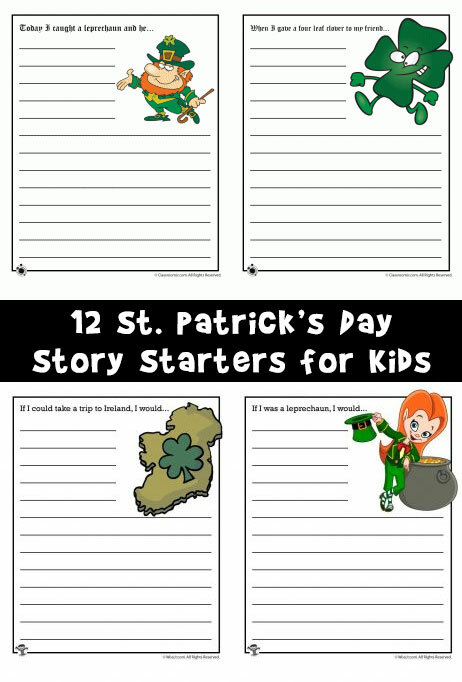 I’m a little late this year getting up the latest set of printable story starters, because St. Patrick’s day is right around the corner! 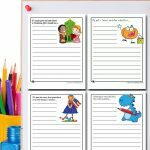 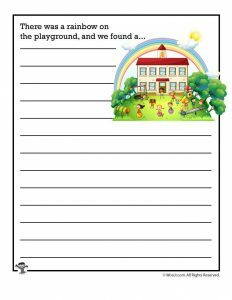 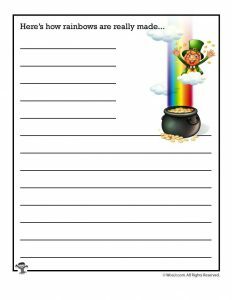 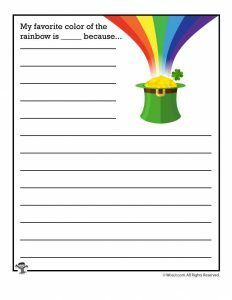 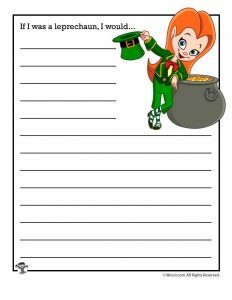 But here are twelve fun story writing activities, which will get kids writing about what they would do if they found a pot of gold, caught a leprechaun, or gave a 4 leaf clover to their friend. 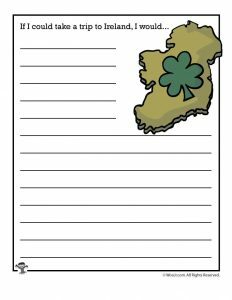 Is it just me, or have St. Patrick’s Day celebrations changed quite a bit in the last decade or so? 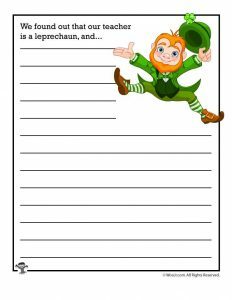 I don’t remember anyone ever setting Leprechaun traps until recently. 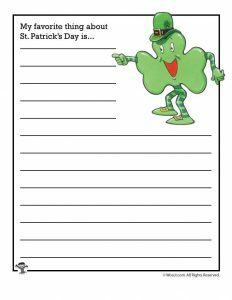 I know that green beer is still a thing for college students, and if you don’t wear green, you get pinched, but what is with all the chocolate coins and such? 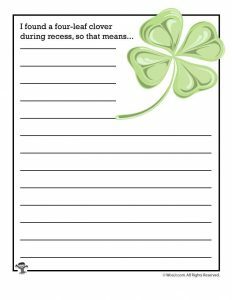 St. Patrick’s Day crafts used to consist of cutting a shamrock out of green construction paper, but nowadays, there’s no shortage of ways to get creative and messy in the name of the Irish holiday. 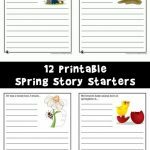 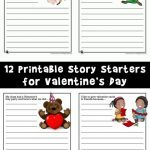 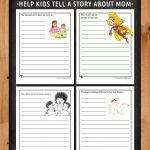 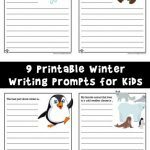 Check out all of our printable story starters while you are here!